Do you want to know what I’m looking forward to this summer? Two words: Sangria slushies. Oh, and sunshine and baseball games and cookouts and pool/beach lounging and farmers markets and sandals and neon nail polish and sunglasses and warm nights chilling on the balcony but ALSO: sangria slushies. Oh, and guacamole and peachy French toast casserole and strawberry grilled cheese and caprese soup and pretzel nachos but AGAIN: sangria slushies. If you’re anything like me in that you plan much of your life around food (let’s be honest, it’s how I plan vacations), here’s a handy-dandy recipe roundup of what I’ve been creating for the lovely Tablespoon, Betty Crocker and The Huffington Post — all of which you should put on your to-make list this summer. I know that between these things and probably some popsicles, I’m set for the season. Get ready for a rumbly in your tumbly! 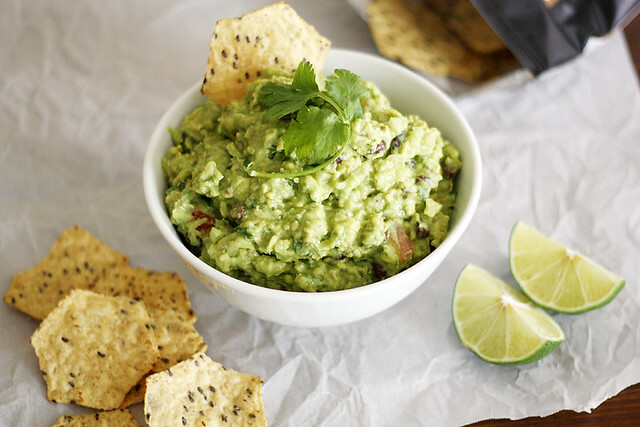 First up: Black Bean-Pineapple Guacamole (pictured above). Oh me oh my oh YUM, this stuff is good. Like, crazy-good. Like, you’ll-need-to-step-away-from-the-bowl-after-a-few-minutes-unless-you-plan-to-eat-the-entire-thing-good. 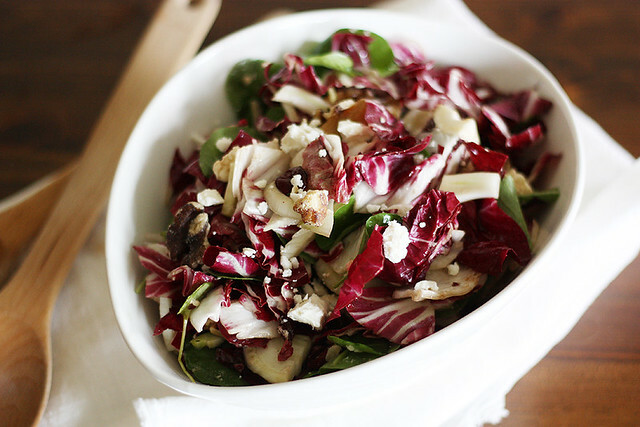 Radicchio, Watercress and Fennel Salad. It’s so unique and crunchy and flavorful that you’ll probably fall in love with it and never eat another salad for as long as you live. I kid. But seriously, ’tis tasty. 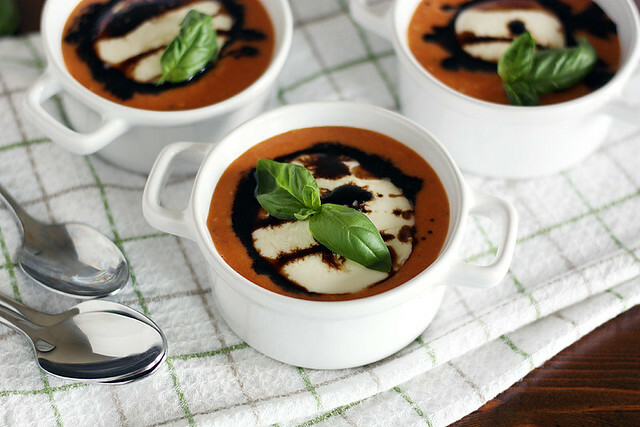 Caprese Summer Soup. Creamy tomato soup with a balsamic reduction and a big ol’ slice of fresh melty mozzarella on top? FACE PLANT CITY. 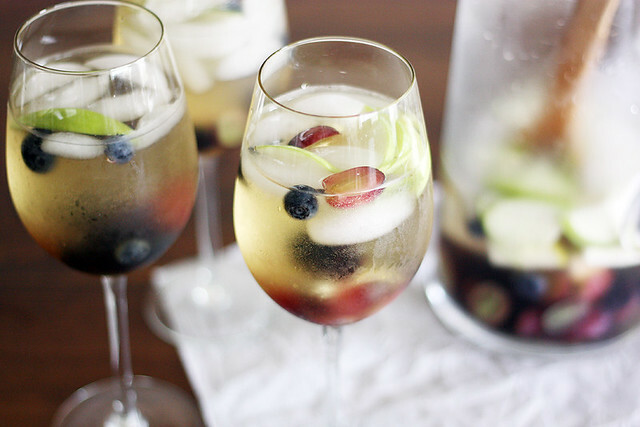 I foresee a lot of summer sunset-watching sessions on the balcony with a glass or three of this light and fruity White Wine & Elderflower Sangria. SANGRIA SIPPING CITY. 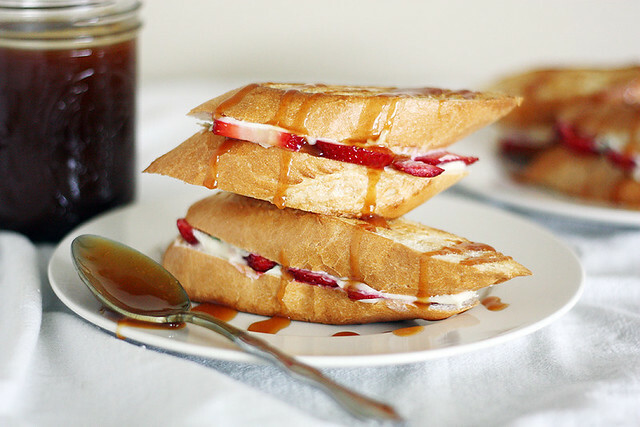 Strawberry-Cream Cheese Grilled Cheese with Salted Caramel Sauce. I think I’ve said all I need to say about that. 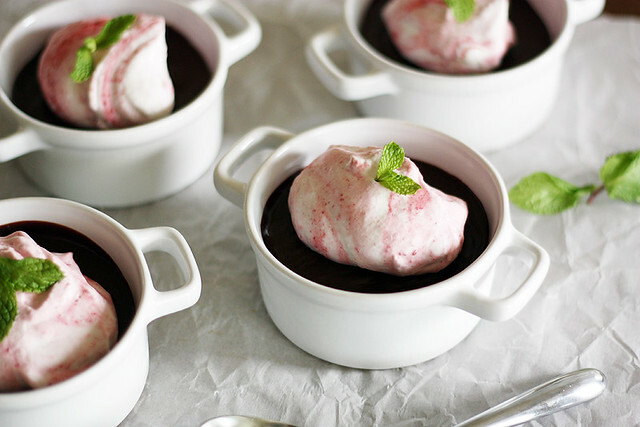 Chocolate-Raspberry Pots de Creme. This one, too. 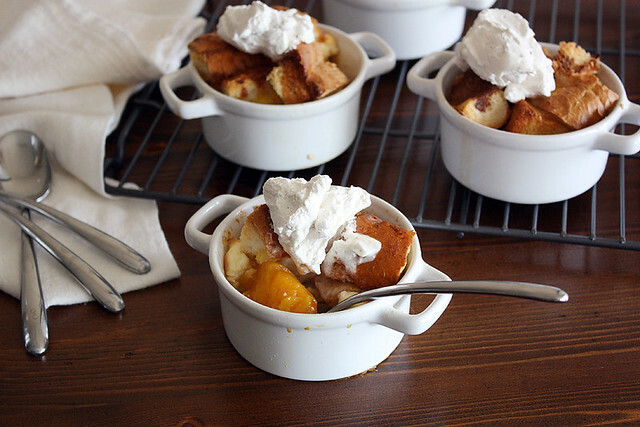 Peaches ‘n Cream French Toast Casserole is what Sunday brunches are made of. Or Saturday breakfasts. Or Monday morning second breakfasts (it’s a thing) (also, you can tell I really like these ramekins). 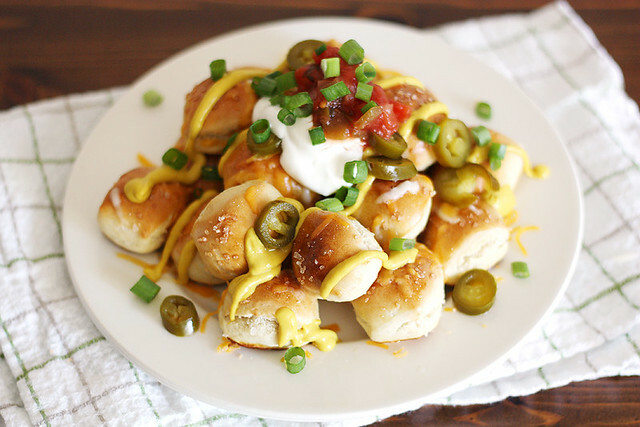 Do you know how to make Pretzel Bite Nachos? No? Well, now you do. You’re welcome. Remember that one time I mentioned sangria slushies? 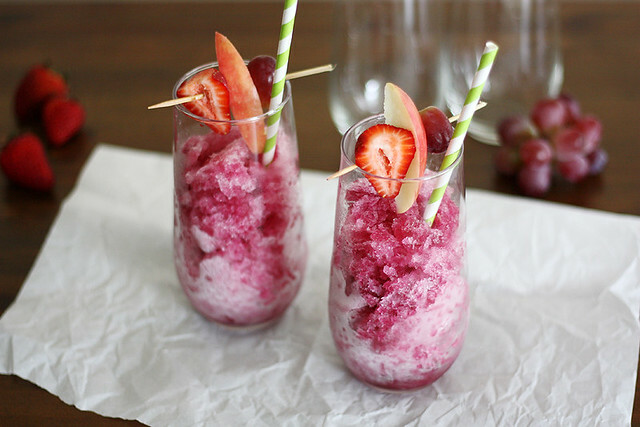 In case you don’t, SANGRIA SLUSHIES. Summer was made for these. 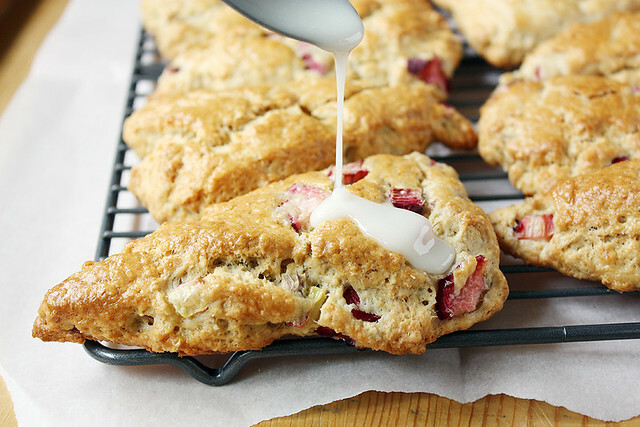 And finally, a little baking roundup of seasonal recipes. For us crazies who actually like being in front of our hot ovens in the hot weather. There you have it, friends! A fun summertime recipe roundup to kick off your week. Now if you’ll excuse me, I’ve got a slushie to tend to. I want all of these! They look so good! Great summer round-up! Okay, these all look incredible, but that caprese soup especially is calling my name!!! Gorgeous! Oh well..now you had me at Black Bean-Pineapple Guacamole.. Those White Wine & Elderflower Sangria are just too purty!!! Love it..
Tieghan — Thank you, my dear! Marie — It is SO GOOD, believe me 🙂 Thanks, love! Erika — Seriously, I ate and drank my weight of both 😉 Thanks, love! Mackenzie — Perfect! I hope you all love it! Your summer plans look fabulous! If your summer plans also include a trip to Chicago let me know! Holy moly. All of this is SO calling my name… especially your grilled cheese, sangria and caprese soup! Awesome recipes, Steph! Belinda — Yes! Make summer happen with the food, even if the weather doesn’t agree 😉 Thanks, dear! Wow, girly, you have been one busy lady cooking up all these great summery recipes! They all look awesome and sign me up for that sangria slushie!! you have my mouth watering! these recipes all sound amazing! bring on summertime! Sangria slushies?! Yes please (and I want to eat all of these). Stephanie, you are seriously talented. The recipes sound amazing and the photography is stellar. You’re right…these are all must-makes for the summer. I want to make everything. I’d start with the the pretzel bite nachos and the pots de creme, and then the caprese soup. And then…..until I make and/or drink all of these. Good thing it’s only the beginning of summer. Love, love, LOVE that sangria! These recipes all look amazing! This roundup = exactly why we’re friends!! Wish we could hang out and sip on sangria slushies!! dangit. i am so hungry now. what a great round up! i’m getting all hungry and wanting to get my summer on now! Julia — Sangria slushie, coming right up! 😉 Thanks, dear! Laura — Seriously, if my tummy could handle it I’d eat all the things in one sitting. With a sangria slushie on the side. 😉 Thanks, dear! Daisy — Oh thank you, dear! You are so, so sweet 🙂 I wish we could hang out and make (and eat!) all these recipes together! Eva — Seriously (and finally the heat we’re having in Minnesota, too)! Thanks, love! Erika — #storyofmylife 😉 Thanks, girlie! Julie — Thanks, love! I cannot WAIT for summer! SANGRIA SLUSHIES!?!?!?!?!?!?!?!??!?!?! You complete me. I was hoping you were going to share that sangria slushy recipe! I mean, really, I need those in my life. Joanne — You do; you really do. 😉 Thanks, lady! Seriously. All of your recipes. BLOW MY MIND. All of these recipes make me so happy for summer! Great round up! Wow, you weren’t kidding! Rumbly in my tumbly!! Awesome food! Brenda — Told ya! 😉 Thanks, dear! Yep, I think I would like to try all of this! Especially those cream cheese grilled cheese sandwiches. They look HEAVENLY! Monet — Ooooh, they are so good, let me tell you. 🙂 Thank you! that caprese soup…oh my gosh my favorite flavors…and the pretzel bite nachos hello how fun for my kiddos…love the recipe roundup…thanks for sharing. Angela — The caprese soup is so good! And I love the nachos, too 🙂 Thank you! Sangria slushies?! Where do I sign up? And dude, I LOVE this round-up, especially that caprese soup! Pingback: Summer Sippers, Wine… | Who Eats Like This?